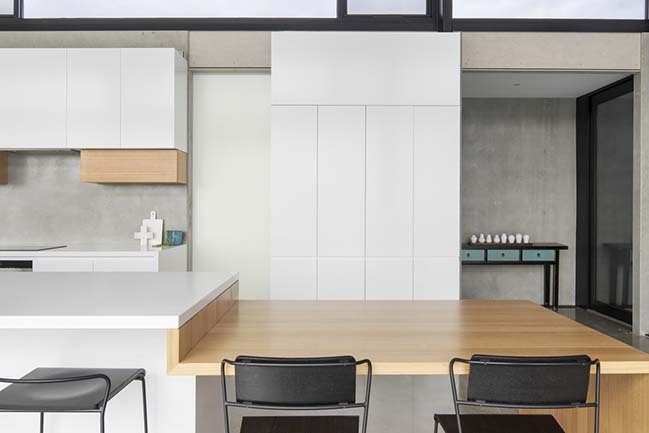 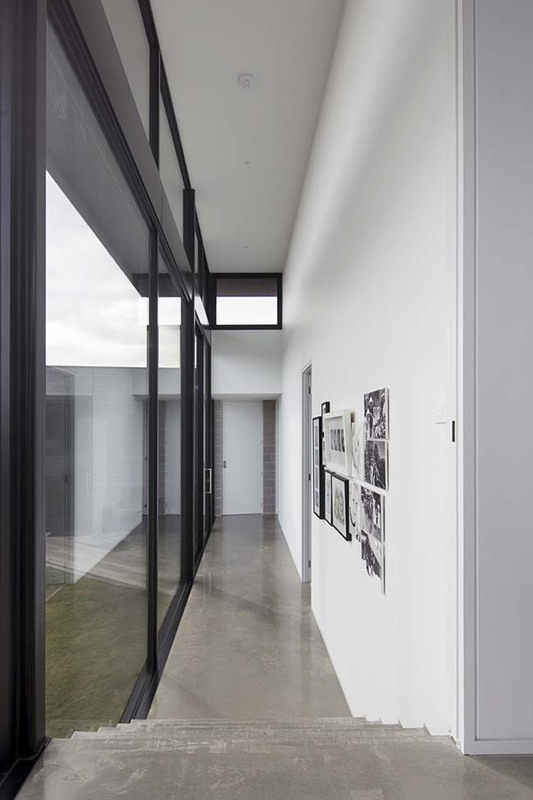 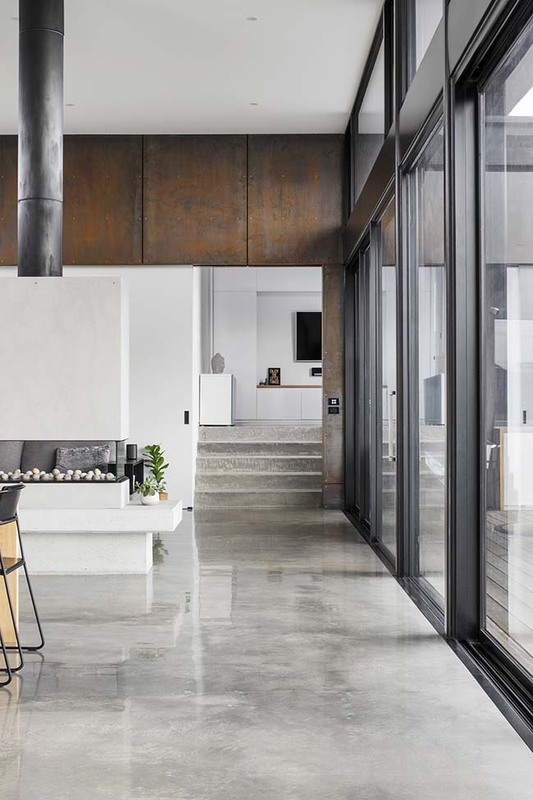 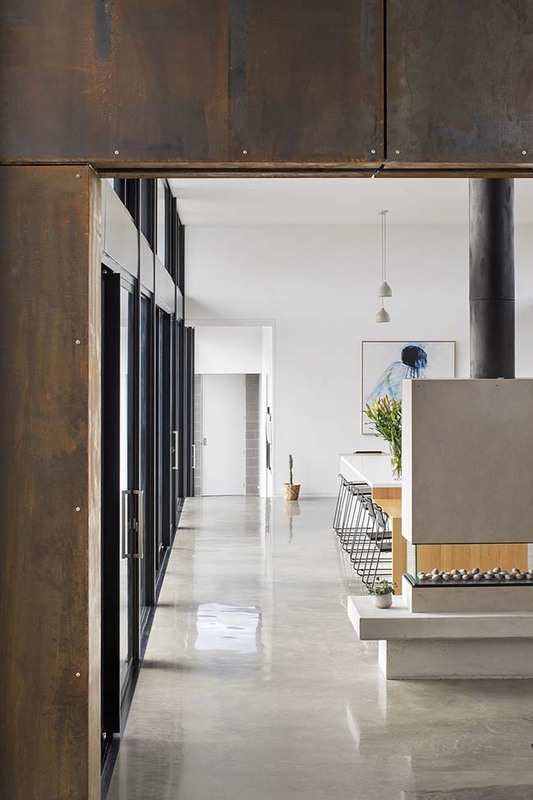 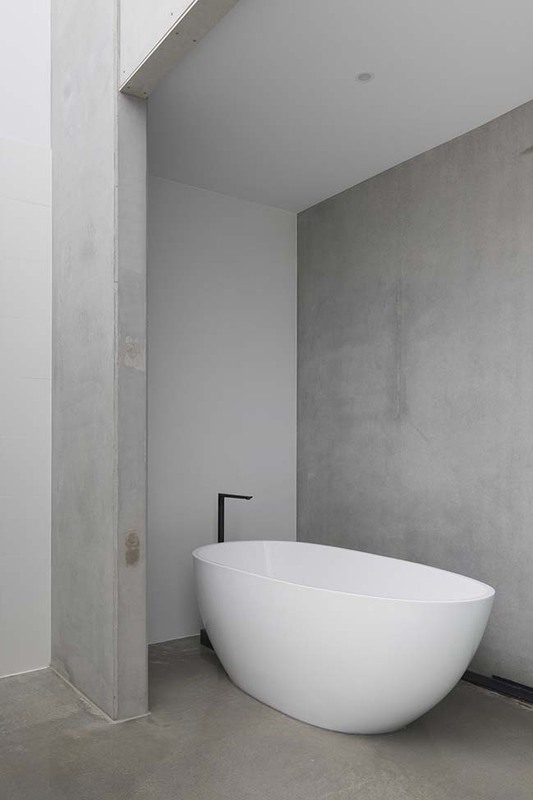 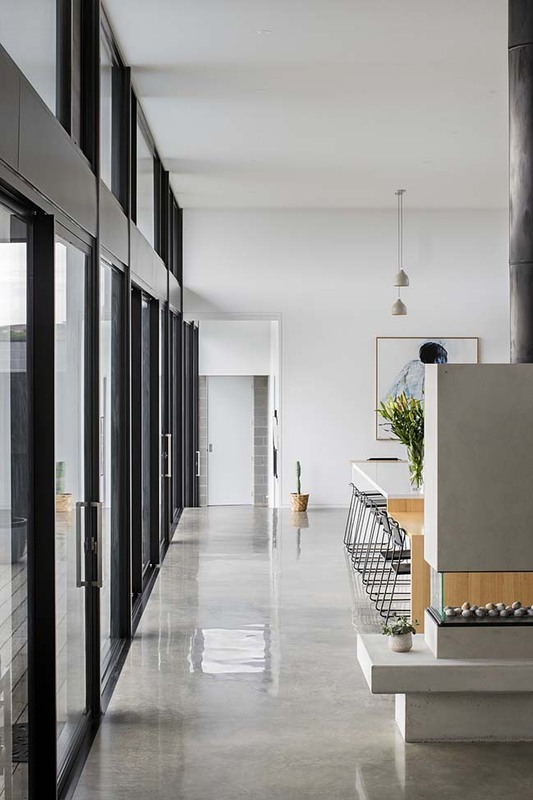 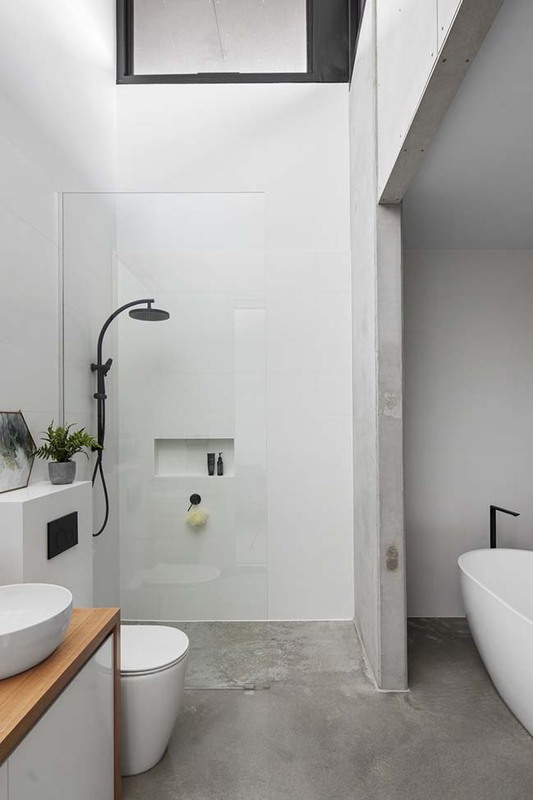 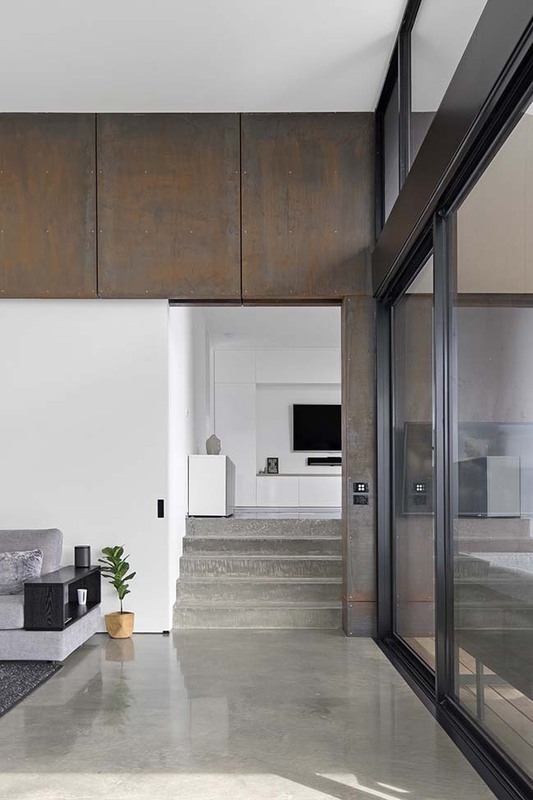 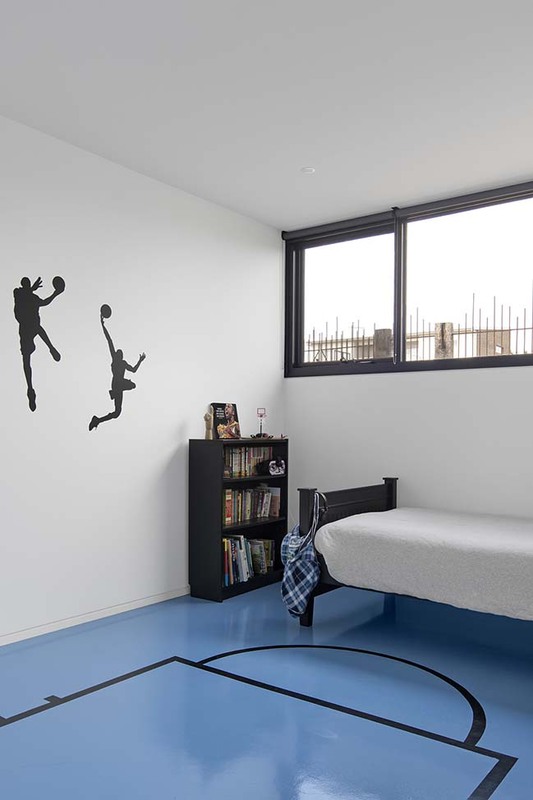 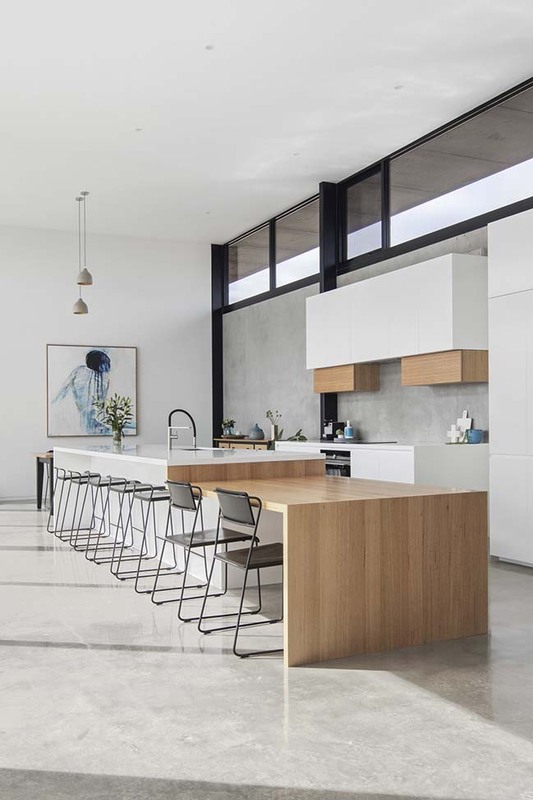 The home was designed by Lachlan Shepherd Architects for a family of 4 in the expanding Geelong suburb of Highton. 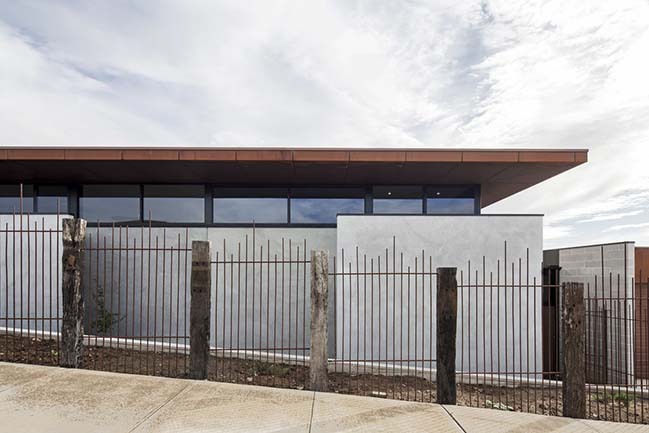 Sited on a large corner allotment with substantial valley views across Highton and to the granite ridges of the You Yang's beyond. 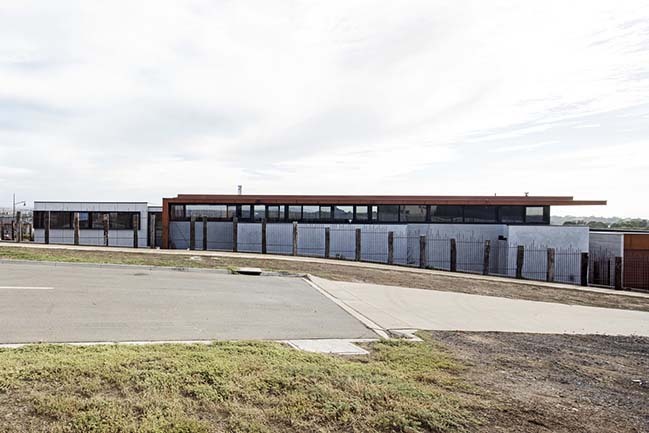 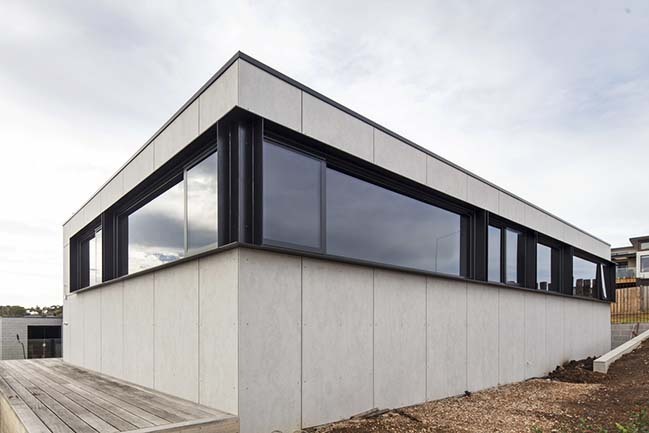 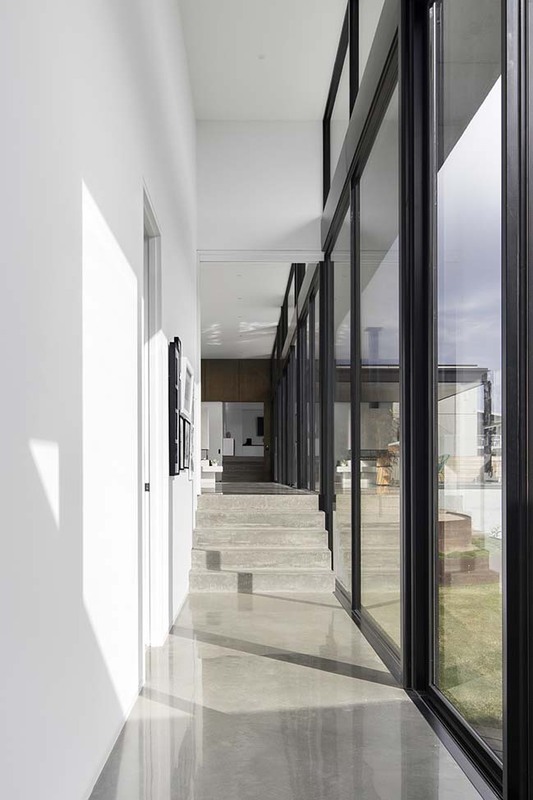 From the architect: Given the corner exposure of the site (located on a roundabout corner) the home essentially turns its back on the two roadways adjacent with only highlight glazing for crossflow ventilation present on these facades. 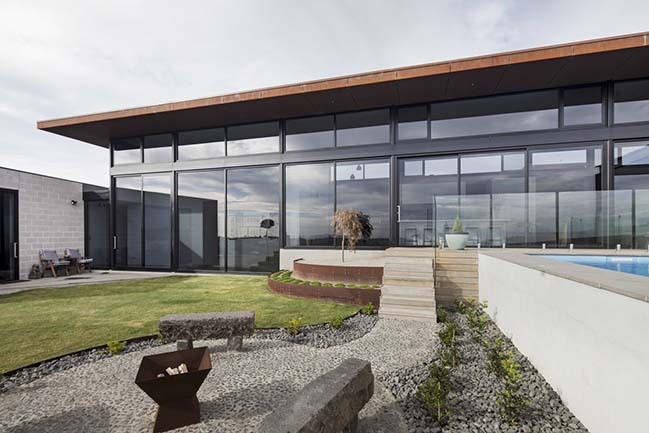 The house also cuts into the side of the allotment, giving it a private, low-slung street presence. 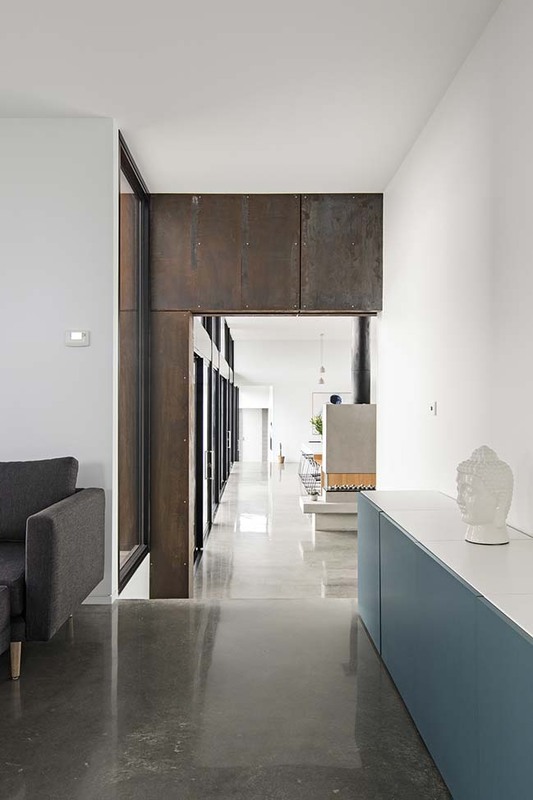 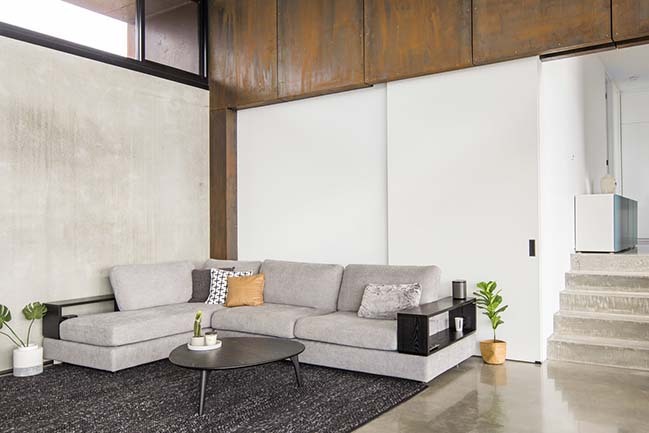 Once the home is entered a dramatic shift in scale occurs with over height ceilings throughout which appear at odds with the southern (street) elevation. 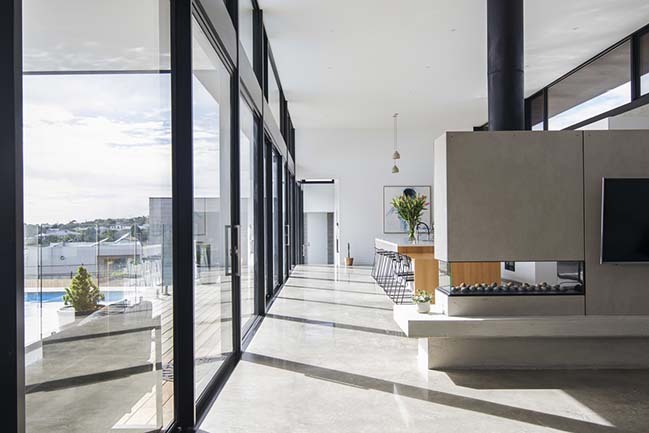 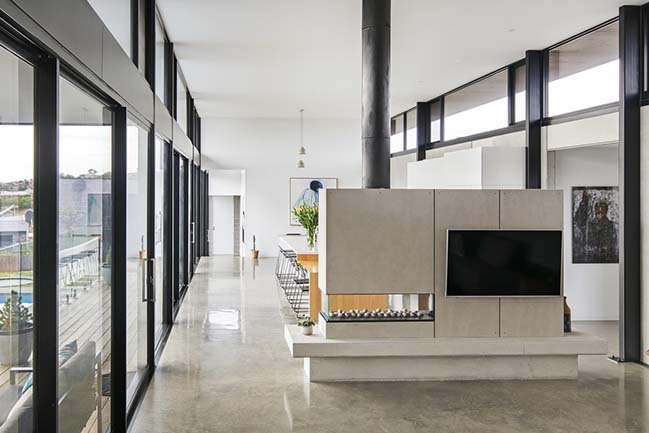 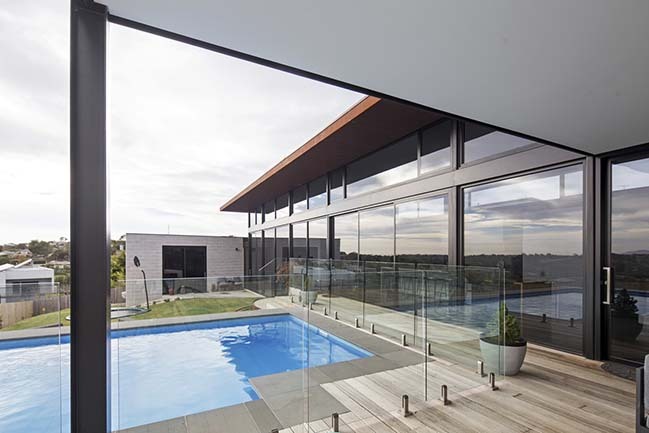 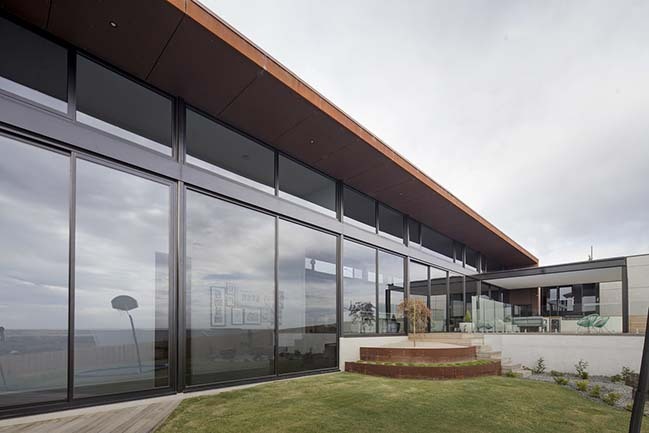 Floor to ceiling north glazing works to harness winter sun and to bring the courtyard/pool areas into the home, with an ever-present distant focus to the You Yangs beyond. 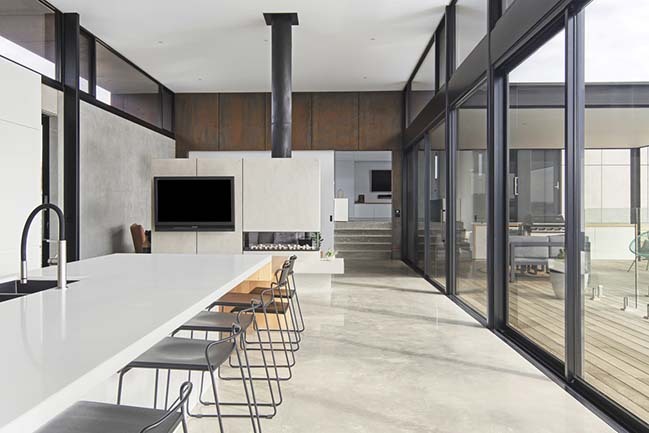 The home is separated/zoned into 3 distinct areas: a kids wing (complete with small rumpus area and bathroom), the main living, dining, kitchen zone and a parents bedroom/retreat area.